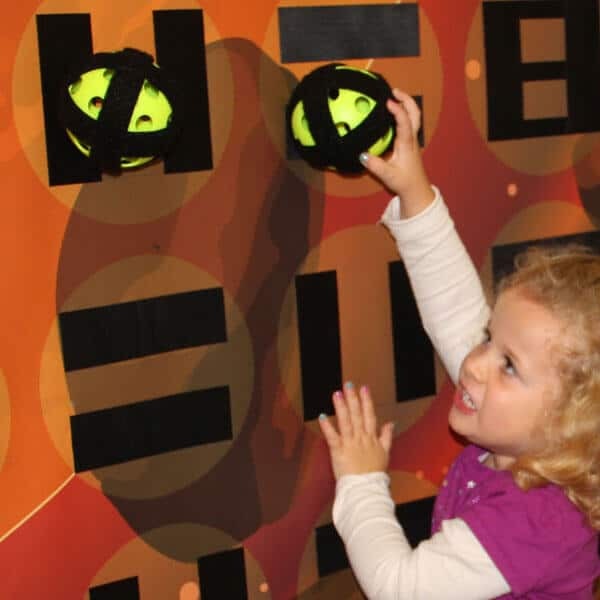 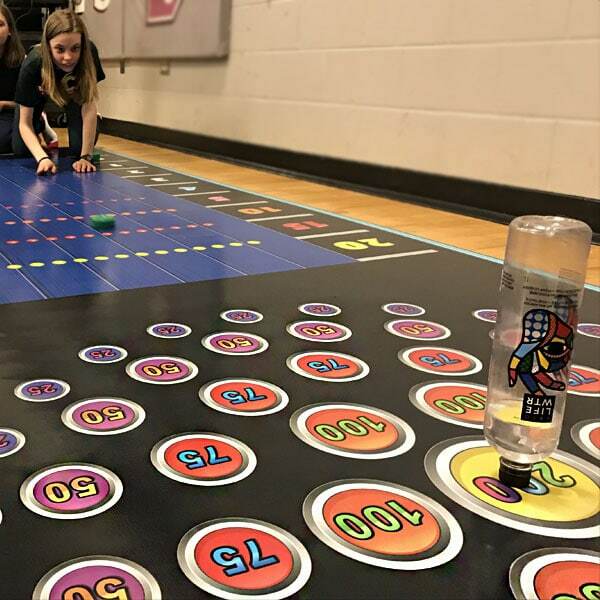 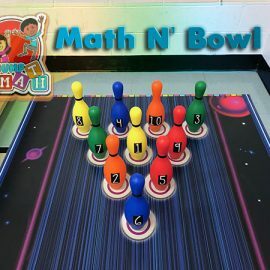 Bowling Math Games Neon mat is a sure way to keep your kids on a roll in math! Teacher calls out a number 2,531.24 ! 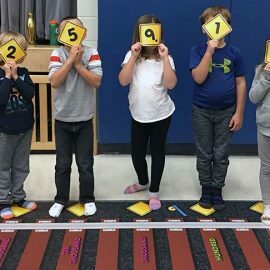 Students race to get themselves into groups of that size on the giant place value chart. 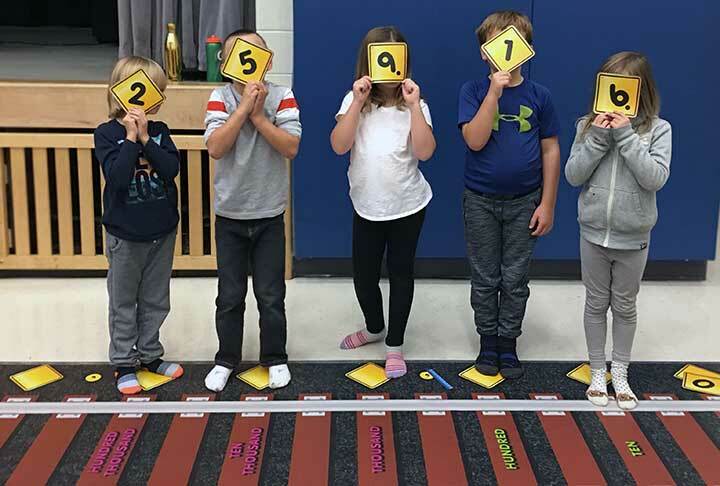 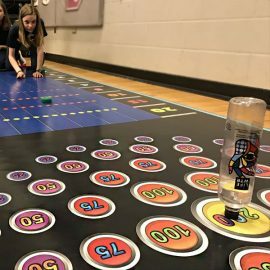 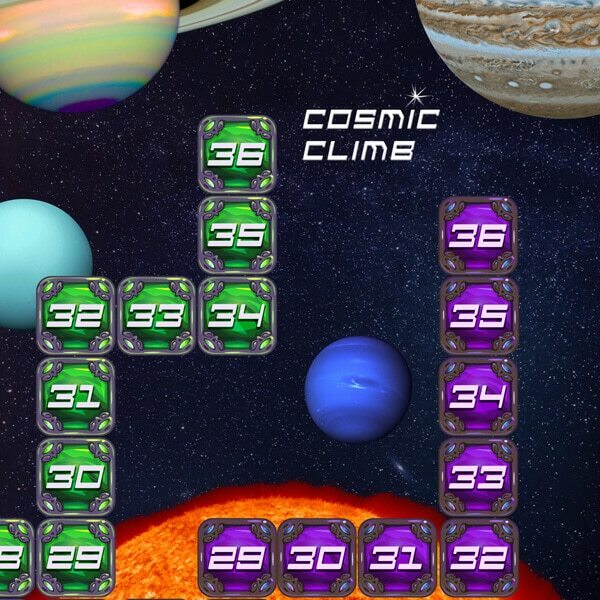 There are many games that allow students to learn physically and visually how place value works. 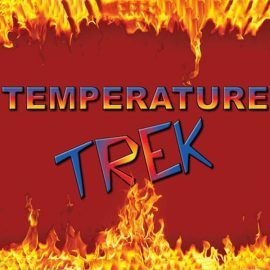 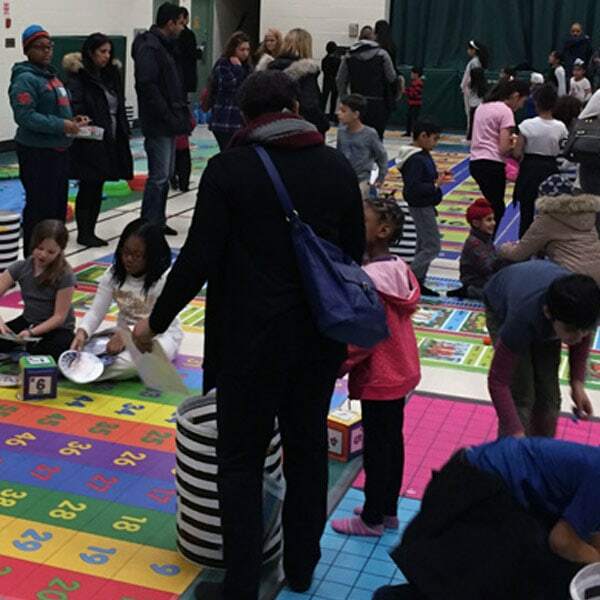 We include several to get you started for Grade 2 – Grade 8. 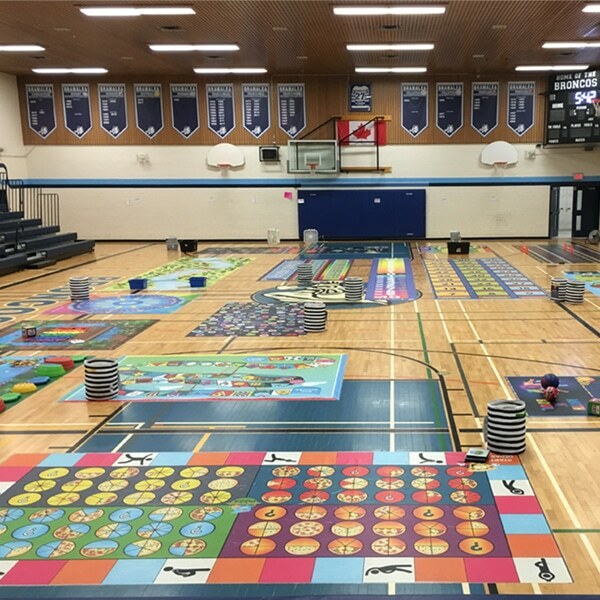 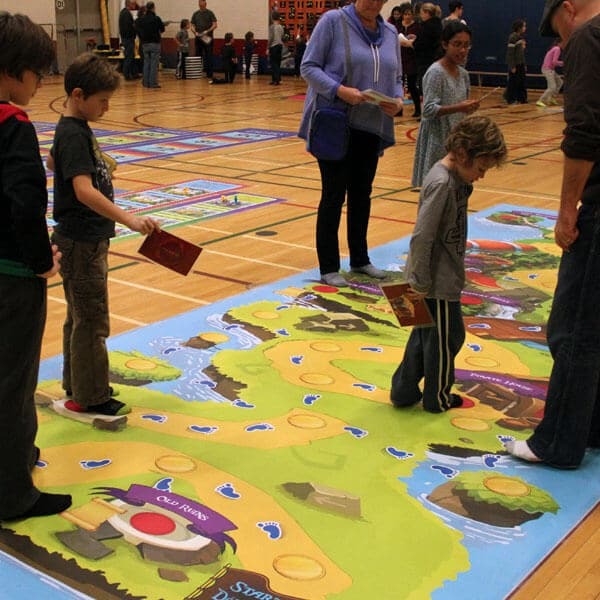 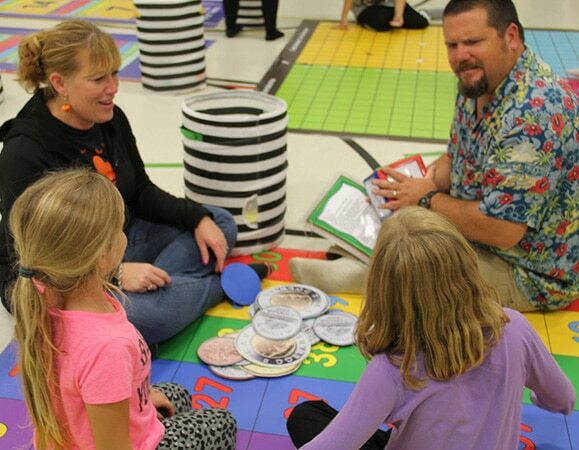 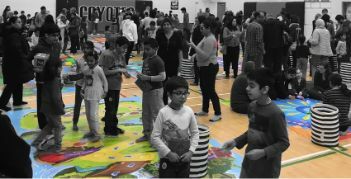 Are you are looking for the ultimate family math night experience? 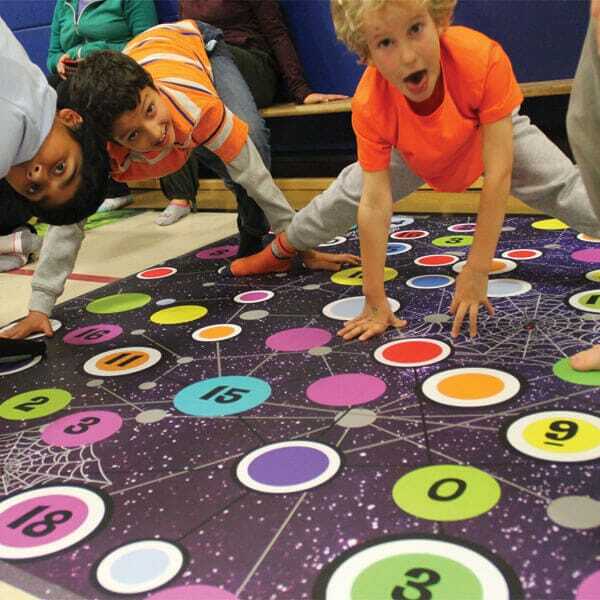 Or maybe you want to incorporate kinesthetic math learning to reach all learners? 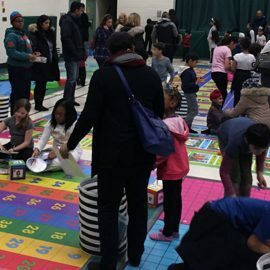 Our Family Math Night Activities Resource Kit includes the 5 most popular math stations based on feedback from schools. It’s Shuffleboard…it’s Curling… it’s Bocce Ball, no it’s Slide SUM-IT – mental math strategies. 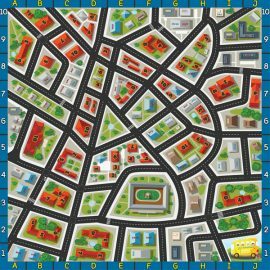 Kids will have big fun with this very durable road mat. 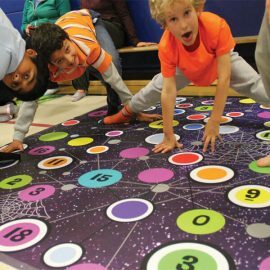 Many interactive and challenging activities can be learned with this mat. From basic math concepts to geometry and theoretical probability. Let’s strike up some fun! 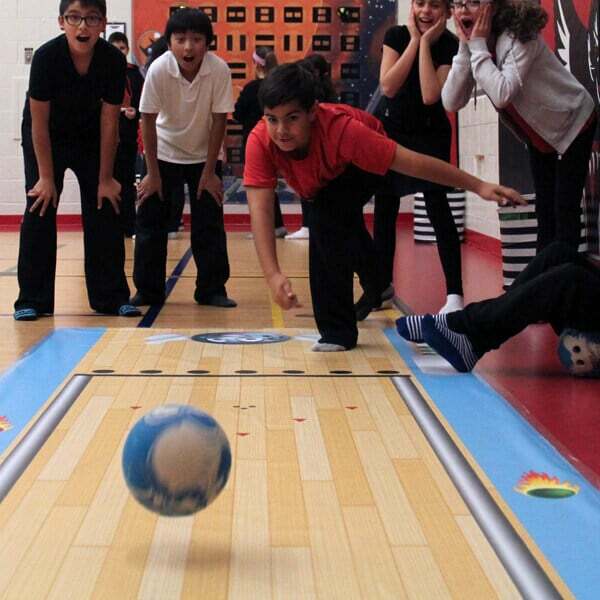 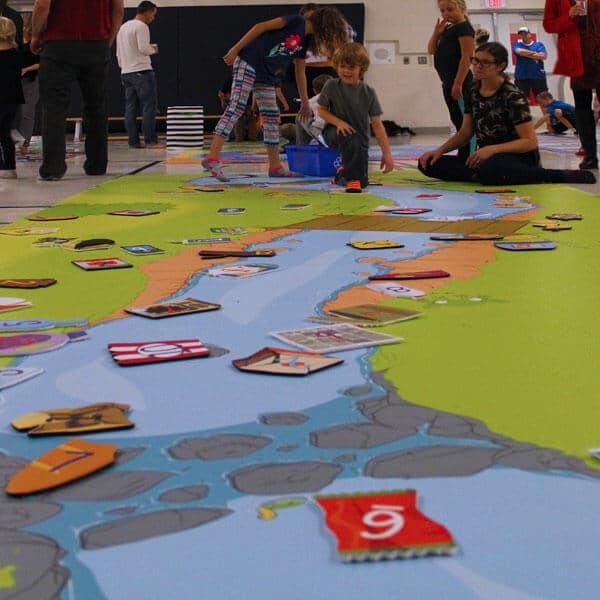 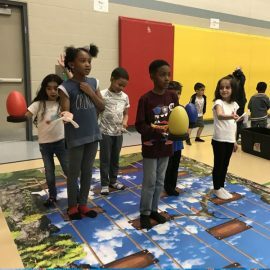 Our life-sized bowling mat invites students to mix learning and enjoyment together. 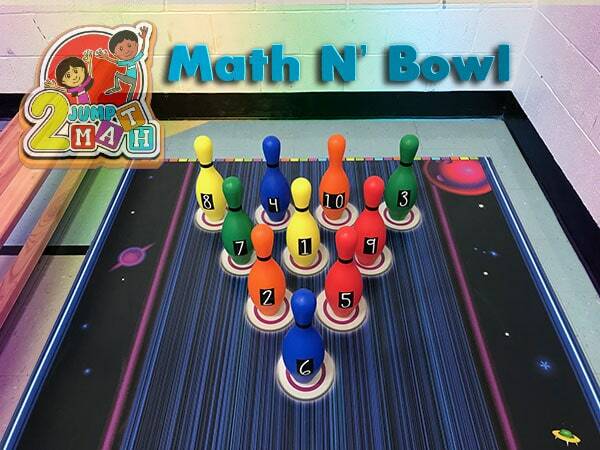 Mixing bowling and math together is a sure hit! 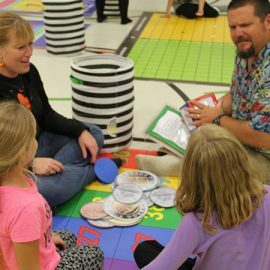 Expect a whole lot of laughing as your students stretch and twist to the included math questions for all elementary grade levels. 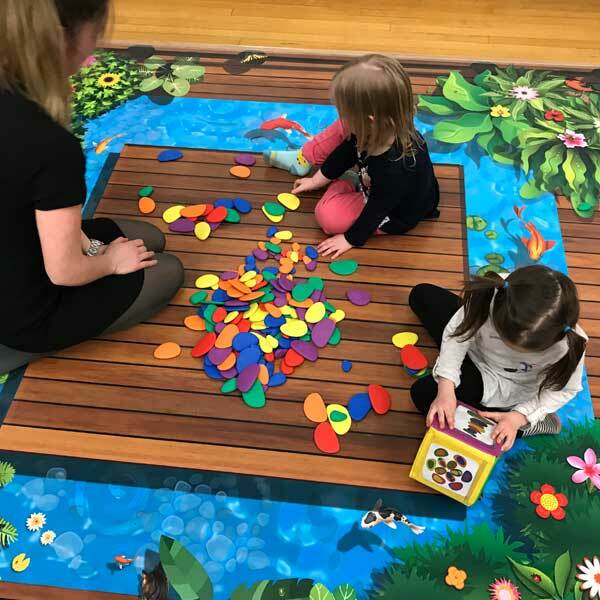 Kindergartens love finding all the colours and numbers. 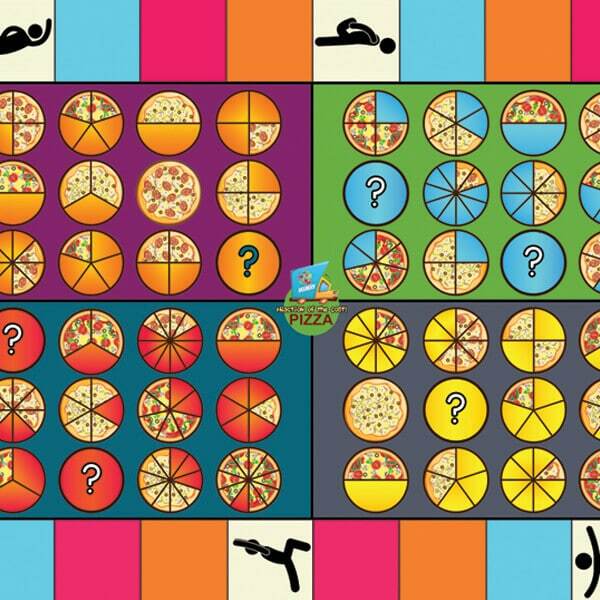 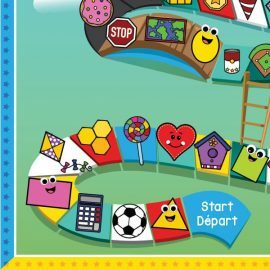 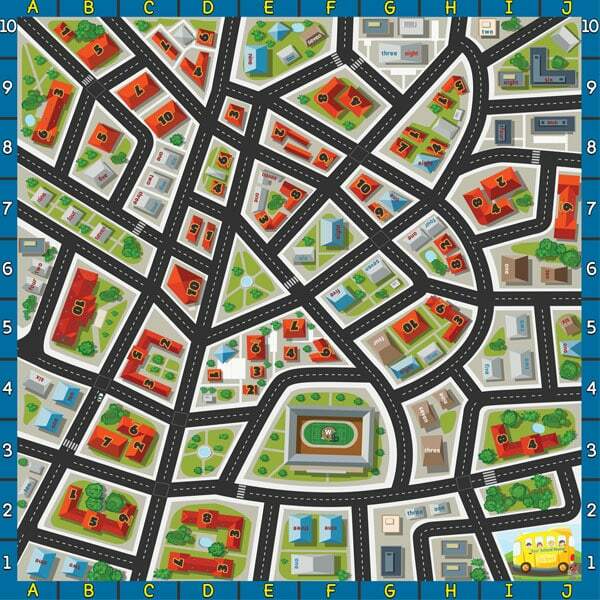 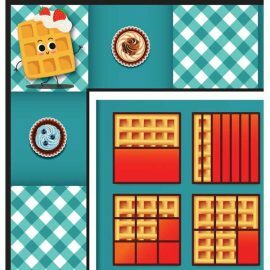 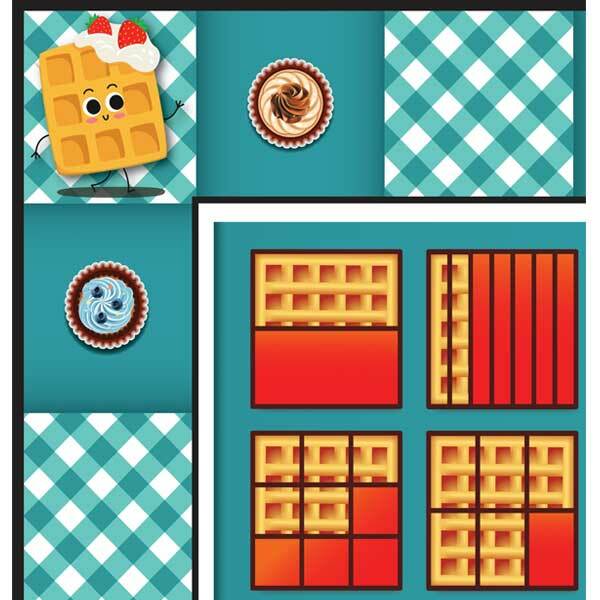 Our unique Shapes & Ladders Game specially designed to add active fun while learning the shapes.